KoopaTV: Cybersecurity Concerns: Paranoia or Serious Threat? By LUDWIG VON KOOPA - I want to just withdraw in my shell and stay there. Recently, I was almost a victim of a malicious malware attack attempt because of my position as the owner of KoopaTV. Or maybe I actually am a victim of it and I lead my self into a false sense of security. This kind of thing is extremely common on the Internet. The Internet is crawling with bad stuff that can do real harm to your computer and your life. Viruses, malware, spyware, phishing, worms, bots, injection attacks, a long list of funky sounding names. You think Zika virus is bad? You kind of have to be in a crappy area and doing some funky things to get it. You can be browsing an innocent website and suddenly bad things will just happen automatically without your input or knowledge. Websites can suffer this even without the owners knowing, so for all I know, KoopaTV is getting lower views than usual because people are being redirected to some weird bad site because of a security exploit. Hope not. Humourously, this has been happening to one of the worst Nintendo forums in the world, NSider2, for years now. From what I can tell, it's STILL happening, probably because its head admin is a guy who only cares about himself and has no regard for other people. And I might've just screwed myself by checking. Great piece of advice if someone gives you a suspicious link or you're doing searches for things that may be suspicious: Go to the Wii (U)'s web browser or 3DS's. It can't get viruses, in large part because no one bothers to write a virus that can attack it, and it can't even download things. This is pretty well-known. You should also run the website through Symantec's Norton Safe Web tool. It's free! Mwahahaha! No one dares test us! ...Erm, we're safe we swear. It's not just garbage piece of crap websites like NSider2 that this happens to. It happens to a ton of WordPress websites, and there are a ton of those out there. (KoopaTV isn't one of them.) The attack attempt that happened to me I mentioned at the start of this article was on innocent-looking websites that were based off WordPress that redirected me to frightening places. Did these sites intend to bring me there when they were first made? I don't think so. I believe they were hijacked because of terribly-written plugins. Unfortunately, chances are if you're using WordPress it's because you don't know how to see if a plugin is any good or not from a security standpoint. Isn't it really scary that you're one Google search result from your credit card numbers being stolen? Even if you aren't into this e-commerce thing and you shop brick-and-mortar only, your information is still at risk. This can be in the form of card skimming, or when companies record all of the point-of-sale information into a database that can be hacked. Don't believe for a second that because your transaction was in a physical location, that the information doesn't get digitised. These retailers pay huge dollars for people to work with the data they collect on you, and the best way to avoid it is paying in cash. The entire point of things like the GameStop PowerUp Rewards card or the Best Buy Gamers Club card and other programs like that is for you to pay the companies to collect data on you. These databases, physical stores or websites, can hold intimate details as well. Ask the Ashley Madison victims. 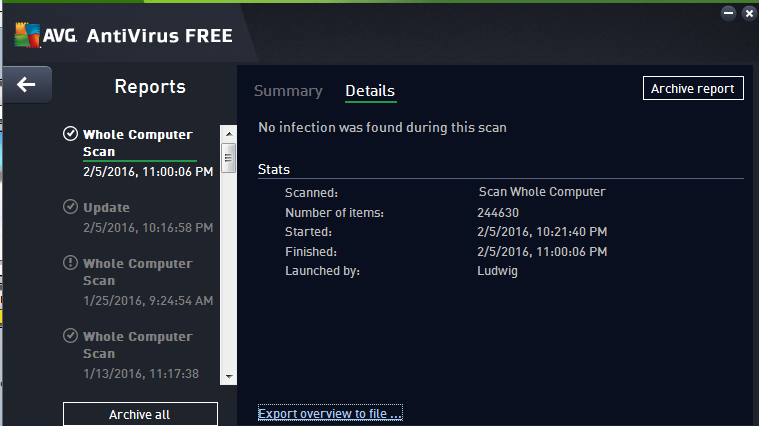 Well, what does the anti-virus scan tell me? No infection was found during this scan. MalwareBytes agrees. It says I'm safe and there aren't any issues. It's been saying that for years. I've never had anything found by these scans. I have no idea if these things even work or if it's just a scam. Or maybe they'll only start finding things if I pay them. What if the viruses found on the Internet are undetectable by these programs and the malware has been residing in my computer for years, logging all of my keystrokes? And they're all being funneled to some jerkasses in some lawless hellhole like China, Russia, or Sarasaland? I dunno why they'd do that. And maybe these programs AREN'T finding anything because there really isn't anything bad going on and I'm pretty good at taking precautions. Or lucky. I see paying for anti-virus programs kind of like insurance. You're basically passing on the risk of your browsing and cyber activities to a third party that takes care of you if something bad happens. Except instead of giving you money for someone else to fix it, they actually take care of the problem. So it seems like a more efficient model of insurance than normal. If you're the kind of person who is into paying insurance, then go ahead and buy an anti-virus program. Especially if you pursue cyber activities extensively, or you're a high-profile person. Like me on both accounts. ...Maybe I should buy one of these, then. Though I still think they don't even work to begin with. Imagine the amount of cyber attack attempts on people like Anita Sarkeesian, who is the enemy of a number of malicious, technically-competent individuals who believe that if they steal her information it's for a moral cause? This cyber insecurity only harms freedom of speech! The attempt to give Ludwig bad stuff was through KoopaTV's Guest Posts feature. If you're going to submit a guest post, please have it be original, exclusive, virus-free, and not part of a hacking scheme. Thanks. Ludwig is not an expert on this stuff — just a scared little Koopa trying to make it on the Internet. Sony gets hacked all the time, putting your information in grave danger if you're a PlayStation 4 fan. What could make the cybersecurity situation even worse? If the government had a master key. Ludwig was in a crappy place, did something funky, and got Zika. Cybersecurity is definitely a serious threat, and KoopaTV is lucky enough to have a cybersecurity expert testify to that. Ludwig doesn't even have security on his Windows computer to avoid Windows 10. Supposedly, NSider2 has wanted to get rid of its malware, but its corporate owners were too unresponsive to actually do so. I dunno if clicking back or closing the browser fast actually does anything to protect you. If you could do research into that or find someone who'd know, that'd be fantastic. My virus scans have found viruses in the past, though the "we're gonna spam you with ads and screw up your computer's performance" type rather than the "steal your information" type. I'm happy I often get good scans with nothing found now, because there was a time when every virus scan would find one or two worrying files at least. I'm much happier seeing those in scan results than the much dreaded "Trojan." Anyway, I downloaded some Firefox add-on extension things since writing this article. I used to be a poster at Toonzone but then I kept getting suspicious activity happening there. A shame really because I have tons of people I shared 3DS codes with. I wonder if they notice I am gone. Thanks to Nintendo killing off Swapnote, I can't even communicate with them easily anymore without risking going back to Toonzone. I... have no idea what Toonzone is. Could you elaborate on what it is, and what sort of suspicious activity there was and may still be? Forum for cartoons. They had a video game subsection too but that was not the main focus. The site kept attempting to download stuff to my computer so I took Sonic's advice and "get outta there". That seems to be a fairly populated and well-known site, though. I could try visiting it with the Wii U's browser but I have such a bitter taste about that site now that I am not even motivated to do that. It's not for your enjoyment... it's for Team Science?! While I chose Team Science, I would have picked Perfect Body rather than Japan's equivalent of Team Science called Perfect Intellect because I am satisfied with where I am intellectual-wise, yet I suffer from all sorts of blemishes including less skin on my cheek and forehead because I scratched myself as a newborn and they did not put mitts on my hands though since an evil clone of mine would not have these scars at least you will be able to choose the right one should you ever have to pick between me and my evil clone, I am allergic to the sun as I break out in a rash if I am exposed to prolonged sunlight, I have insulin resistence, I am constantly fatigued all the time and I told you of something that happened to me back in November and maybe a perfect body would have prevented that from happening. ...If you were on Perfect Intellect, you wouldn't have made all of that one sentence. Oh well, gotta make sacrifices for something. Hint: What is one of the words Samus likes to use often in Other M? That certain tragic event that happened in November could've been prevented if you had Perfect Body. Gotcha. It's more out of silliness that I make run-ons. Is Silly Girafarig's mane and muzzle still blue? Look in the mirror and tell me. Your article is so biased it physically hurts. Someone is butthurt about other sites. Am I supposed to feel bad about harming an anon who wants to defend a horribly-ran website that has allowed itself to be a hotbed of viruses for years? I don't care about defending it, I was just stating the obvious that biased articles tend to fall short. I find it hilarious your twitter jokes about its layout when your tab section looks like garbage. Fix yourself before bitching about others. Our Twitter wasn't joking about NSider2's layout. Our Twitter was remarking about how stupid it is that NSider2 embeds tweets about NSider2 on their homepage, including our own tweets. As it so happens, we're in a fantastic position to know how bad a forum NSider2 is because its current head admin used to be a founding member of KoopaTV. Then we fired him for incompetence and duplicity. Since then, KoopaTV has only gotten better, while NSider2 has descended into a worse and worse place to be. What exactly is "so biased" about this article, besides my bias against viruses and Sarasaland?